Gentle Giant? What happened? Any Freehand Z out there? Euhm, they broke up almost 40 years ago.. I guess thats what happened. Dudley Morris, jimbags, ti-triodes and 3 others like this. The Tower Theater in philadelpia. 1980. I went to see them.. It was fantastic. .Freehand. The members do anything after? Derek Shulman occupied a leading A&R position at Atco and signed some very high profile acts. Kerry Minnear was composing Christian-themed music, the last I heard. Francis A Carr likes this. That gives me a start.. Fantastic live.. Unbelievable. . Ty. Ray Shulman produced the Sugarcubes and others. pantofis, izgoblin and Francis A Carr like this. Interesting. . I was young then..
About 20 years ago, a colleague told me that one of the ex-Giant crew was working as an archivist for Worcestershire County Council. I have no idea who or whether this was true. Dudley Morris, Giant Hogweed, izgoblin and 3 others like this. I recall reading that he signed Bon Jovi to Polygram. Not sure if it's true. 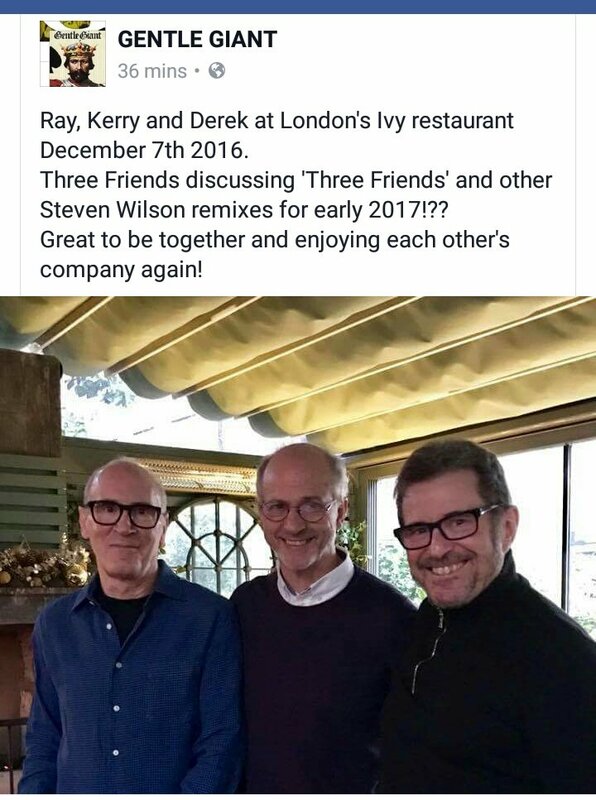 They keep teasing a potential reunion, and there have been a few photos of them (at least Derek, Ray and Kerry Minnear) together recently. But Phil Shulman will be 80 next month, so if anything does happen, don't expect him to be included. A royal scam without him? This is a screengrab from their Facebook page (not by me). Siegmund, Runicen, sjaca and 5 others like this. Fantastic. . Ty.. Ty very much. . He has been involved in producing music DVDs recently. Some of the Jethro Tull reissues mention him in the credits. He definitely signed Dream Theater to Atco. pantofis, Francis A Carr, Northwind and 2 others like this. Ray also does graphic design now, and did all of the visuals for The Power And The Glory surround sound mix, which are fantastic! Northwind and prognastycator like this.